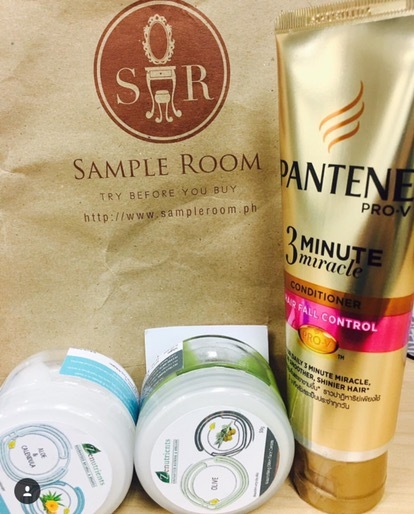 Today marks the last day of my 70 ml Pantene 3-Minute Miracle Hair Fall Conditioner tube from Sample Room. As much as possible, I wanna use up the samples before I share my thoughts so I can also test how long the product lasts and include that in my reviews. It’s been 19 days since I started using this product. So yes, it is safe to say that you can include it in your biweekly groceries just so you always have supplies and don’t run out of it. Yeah, I’m that type of girl who makes sure there is a new bottle of shampoo or conditioner before the current bottle runs out. I have always had issues with hair fall! Some told me it’s because of stress and that I just need more rest; some said I just need to change my hair products. My hair has gone through a lot – hair dye, treatments, straightening, curling, etc. which made me worry about dryness, split ends, frizz and of course more intense hair fall. I saw a commercial of this product and it said something about experiencing that 3-minute mircacle. I was so happy when I saw this on @sampleroom so I immediately ordered my sample tube for 50 points. I loved the packaging since the 1st time I laid my eyes on it. It looks classy in gold with a touch of pink! I like the tube because it is easier to squeeze than thicker and harder containers. Plus, similar to toothpaste tubes, it allows you to squeeze the tube to get the very last drop of the product (I know, I did!). There is also a batch, manufactured and expiry date indicated on the bottle. It is a good habit to check when the products expires. Expired products can cause major damages to your skin or hair. I typically use this after shampooing. I have very thin hair strands so I use just enough for my hair. The texture is thick but easy to apply. It is not sticky nor slimy. Some conditioners are a little slimy and requires you to wash your hands to get rid of it. This is not one of those. Rinses off easily too which means you don’t need to worry about any residues that may cause dandruff. Day 1 of using this product, I immediately noticed that my hair fall is considerably lesser than before. I used to pick up a handful of hair after showering but I don’t remember ever to do the same for the past 19 days. I also love the smell. The scent lingers on my hair the entire day. There were times I caught myself smelling my hair. A lot of my friends asked me what hair product I use because it smells great. It did make my hair smooth and shiny but not as much as I wanted it. I probably expected a lot because it is a P&G product and they always deliver more than I expected but like what I mentioned, my hair has gone through a lot, I even have Ombre right now so that is probably why it didn’t turn out to be as shiny as I thought. My hair didn’t easily get oily. I noticed that when I would leave the conditioner on for around 5 minutes, it makes my hair extra soft and stays fresh longer than usual. There was no irritation or breakouts during the time I was using this. There are hair products that contain very strong chemicals which causes breakouts or irritation that I hate. Summing it all up, this is a 👍🏼👍🏼 for me for preventing/lessening hair fall! They say losing hair on a daily basis is normal but hey, if you feel you are losing way too much hair, I recommend this product for you. You can lessen that hairfall plus getting that soft hair you want with an amazing scent that lasts all day! Previous Post 5 Different Products for Eyebrows on point! Next Post Long-Wearing Liquid Matte Lipstick by Pink Sugar – a total must have!